This is a pack of three Pro-Line Pro-Bond Glue Tips, and are intended for use with Pro-Line Pro-Bond Tire Glue (PRO6031-00). Pro-Line Pro-Bond Yellow Glue Tips make gluing tires a little easier, and help you apply the glue deep within the wheel bead for an improved bond between the tire and wheel. I agree with the other reviews regarding ease of use and application of glue. One additional benefit of these tips: you can re-use them. These are the only glue tips I"ve used which can be used more than once. Also, use scissors to cut a 45 degree angle in the tip. This will make the glue dispense more consistently AND keep the tip from clogging. The secret to gluing the perfect tire. Works with any glue, but the Proline tire formula is great as well. 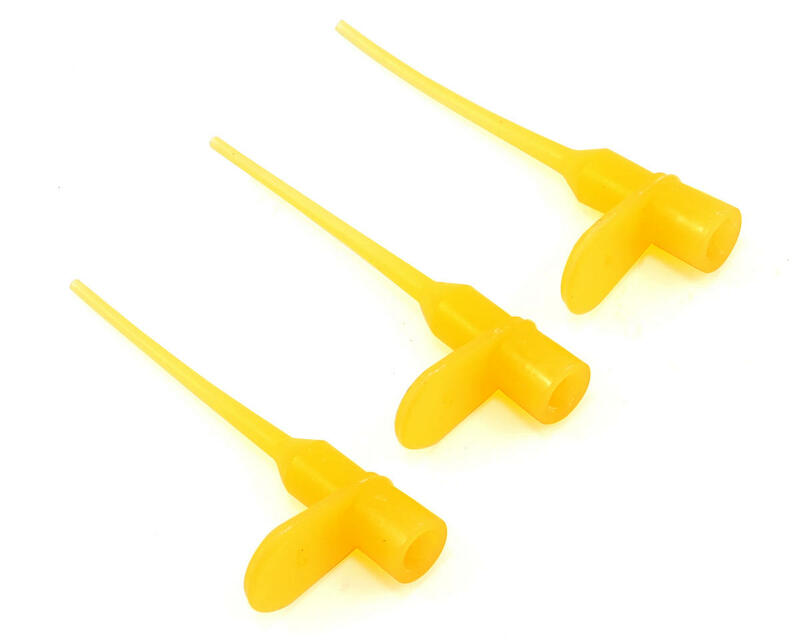 The tips make it easy to dispense the right amount along the inside of the bead. The tips on most of the CA glue bottles you find at the store are usually too big and you end up making a mess, but with these you won't have any stray drops of glue getting all over the rim or on your fingers. 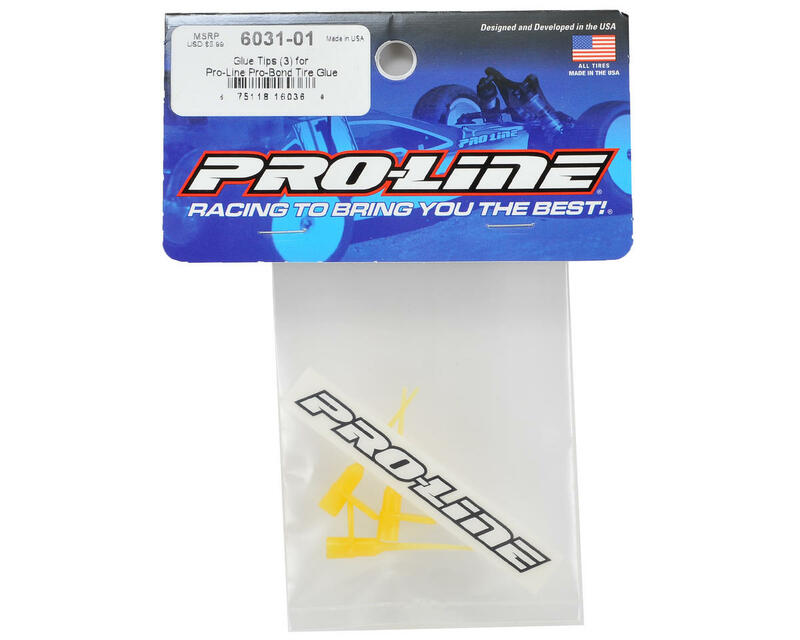 The best tips to use with proline glue. Fit snug and don't leak.